Is it constitutional for the government to force us to purchase something that can ultimately lead to our demise? It’s what the EPA admits will happen if we’re fool enough to contaminate our own water supply with these dangerous CFL bulbs that are being pushed on us, for some, under duress. 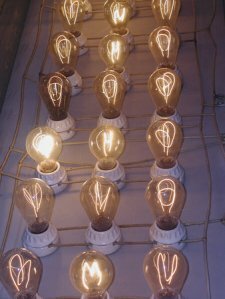 I’d love to hear your thoughts on the subject of CFL bulbs. I may be repeating myself but the facts are still the same. In the not too distant future, the ‘government’ is going to mandate by law that we purchase CFL bulbs, and make the innocent incandescent illegal. ‘They’ proclaim these bulbs are the almighty solution when they’re actually causing more harm than good. 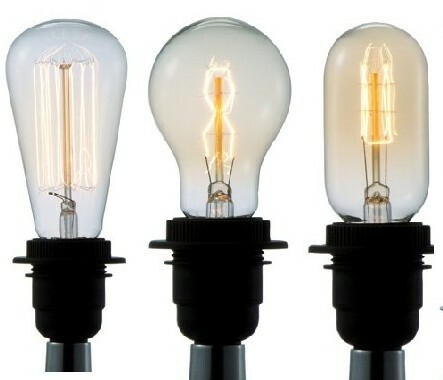 Many people are complaining of seizures and headaches when under these bulbs. Most studies brush these individuals off as inconsequential. 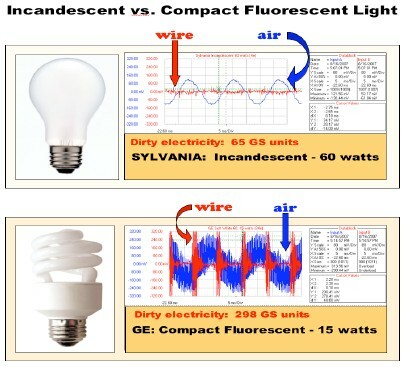 The newer compact fluorescent light bulbs generate radio frequency radiation as well as ultraviolet radiation (see Figure 1) and many still generate heat although less of it. These frequencies (RF3 and UV4) have been associated with adverse health in numerous peer-reviewed scientific studies and a growing number of people are complaining that these bulbs make them ill. 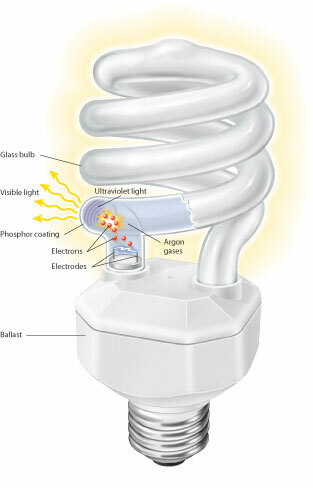 Instead of promoting compact fluorescent light bulbs, governments should be insisting that manufacturers produce light bulbs that do not produce radio frequency or UV radiation and that are safe for the environment and for human health. It’s not too late to stop what could be a worldwide tragedy. These bulbs have been subtly ingrained into our international sub-conscious as being good for the environment even though they’re ALL made in China. Companies like GE closed ALL their light bulb factories in the US and moved production overseas. These bulbs are considered toxic and hazardous (by the EPA) once they burn out or break, have excess plastic packaging, increase Mercury and coal production, have no warning labels and have to be taken to a Toxic Dump to recycle them IF they’re not broken. If they break, it’s your problem. And we’re being convinced they’re ‘Green’. The EPA acknowledges these bulbs will contaminate the water supply if not disposed of properly. We’d don’t even have recycling in most of Miami Beach. Where will these go? Please educate yourself about the negative global effects these have on the planet from job losses to becoming toxic, hazardous waste once they break or burn out. The footprint and losing American jobs alone is enough for me, but the disposal and the hazards they pose to our water systems is too enormous to ignore. We have a choice to not blindly accept that changing to these light bulbs is the right thing to do. Please look into the additional Mercury production that the hundreds of million of these has fueled. Hundreds of millions of these have already been sold with no place to dispose of them as very few town have Toxic Waste dumps and the ones that do won’t take broken bulbs. To put that number into perspective, only 200 million Frisbees were sold since they’re debut in the 50s. PLEASE boycott these until every single town either has a pickup program or there is a Toxic Waste facility in all towns that don’t have Ikea or Home Depot (those are two places that will recycle them, if you or your neighbors bother to double bag them in plastic and drive them over…if they’re not broken…if they’re broken, it’s your problem). Thank you for keeping this topic alive and making your own decision, not being forced to buy things through a government deal with GE and China. 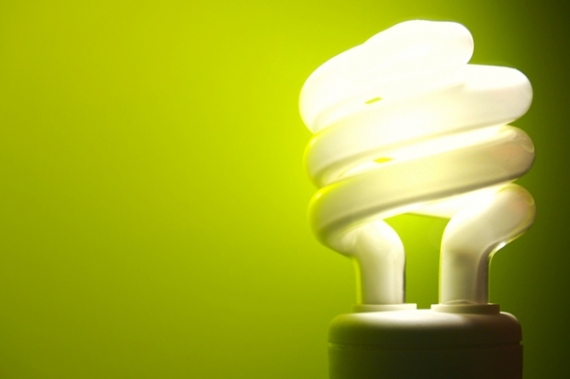 The simple light bulb has become a global environmental issue. It was the perfect choice to villainize, since every room in every country no matter how large or small, needs one. But they are ALL are made in China, and are comprised of so much additional production, mercury, packaging, and special disposal needs that they are anything BUT green. 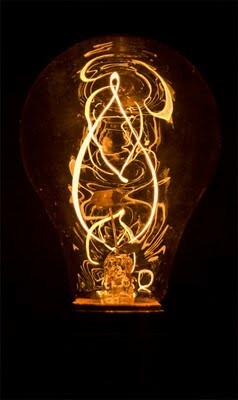 GE closed all light bulb factories in the US and moved all China after receiving a stimulus package. The EPA says they WILL contaminate our water supply if disposed of improperly. And started with just an idea. Most of the best ideas are the simple ones. But somewhere propaganda got the better of us. And we’re told to believe the fluorescent bulbs are the better choice. So many people claim that they use ‘less energy’. But the footprint alone is enormous, not to mention the packaging and disposal. For what? To save a few watts? All that is heresay anyway, no one can actually measure that, and what is it measured against if you breakdown this giant footprint? Anything can be spun and this is the most blatant case of that I’ve ever seen in my lifetime. If you were to measure the pollution these bulbs leave in their wake, from the factory to the landfill, you’d find they’re not at all line with protecting the environment. In fact, they are harming it in hundreds of small ways, including adding to the demand for more coal production due to the increased need for mercury. 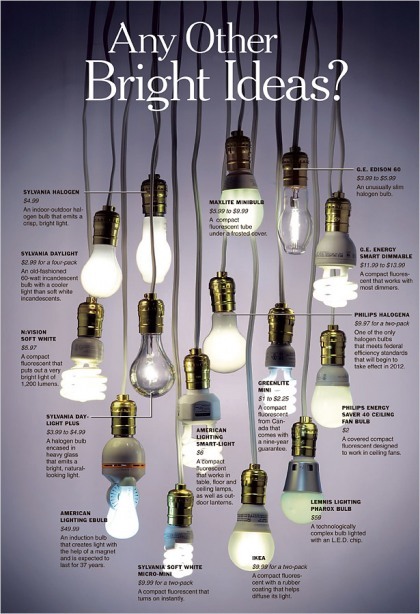 They’re designed to burn out whereas so many of the original bulbs are still burning bright. How did we get brainwashed? The only way to snap out of it is to boycott before it’s too late and regular bulbs are ‘illegal’. Otherwise this ‘energy efficient’ invention could be the demise of our water system. Boy I hope I’m wrong and these bulbs will change everything, they’re going to bring back jobs, and save the environment. That the new Toxic Waste Dumps will be pretty and efficient. 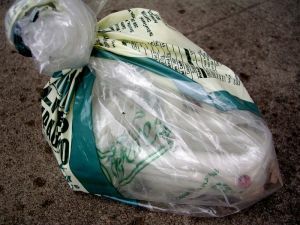 That the excess packaging will be recycled and the double bags needed to dispose of them will be biodegradable. I hope that even though you have to throw away anything that they fall and break on, that it won’t be that much extra garbage in the landfill, and that everyone who has one of these knows the hazards and disposal recommendations even though it’s not printed on the package. I hope that places like Cuba or Guam or even Miami set up recycling plants that you can drive somewhere to dispose of what is now considered Hazardous Waste, responsibly. But wishing and hoping isn’t going to make it happen. We have the warning right in front of us but we don’t see it. Why? 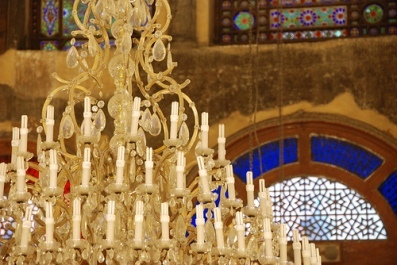 These bulbs have lasted decades. 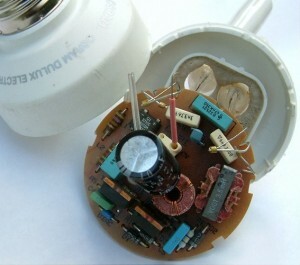 How long does a CFL last? Take a look at GE and see how ‘green’ they really are an what may be behind this. I’m glad and grateful you’re here. 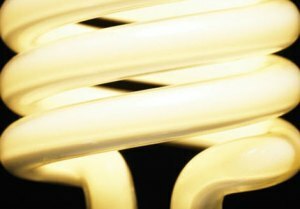 Thanks for taking the time to look into the dangers behind Compact Fluorescent Light bulbs, from their creation to disposal. CFLs create a destructive trickle down effect, affecting everything from American jobs, to Mercury, coal mining, mountaintop removal and water contamination. 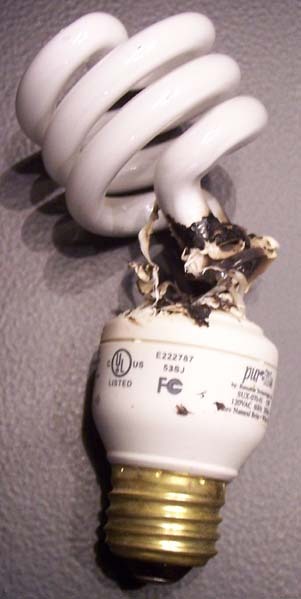 Before Bush left office, he signed a bill that passed GE’s lobby to replace millions of our current bulbs with toxic CFLs. (Toxic because they become ‘Hazardous Waste’ once they they burn out and have very specific disposal treatment guidelines to follow. Disposed of improperly, they will contaminate the water supply). This is the last thing I want to be going off about but I found out too much not to shout about it. Because they have Mercury, if disposed of ‘improperly’, these bulbs will contaminate our water supply according to the EPA. I’ll let them explain. This is from the EPA website under: Why is it important to recycle CFLs or other fluorescent light bulbs? CFLs or other fluorescent light bulbs thrown into the trash are usually sent to a landfill or incinerated. These disposal methods will lead to releases of elemental mercury into the environment through breakage and leakage. There is also the potential for exposure to mercury from broken fluorescent light bulbs thrown in a dumpster, trash compactor, or trash can. Approximately 670 million fluorescent light bulbs are discarded each year in the United States. 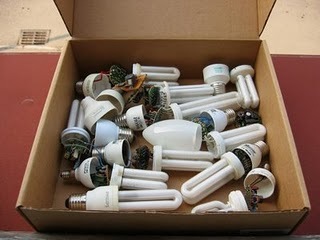 These discarded bulbs can release approximately 2 to 4 tons of mercury per year into the environment. Once in the environment, mercury can be converted to an organic form that accumulates in living organisms and contaminates the food chain. 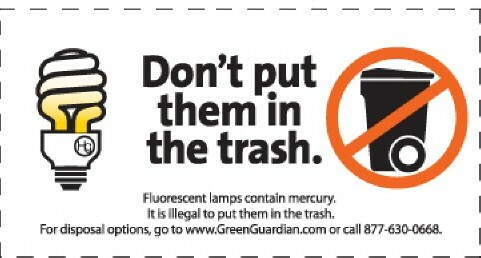 To prevent the release of mercury, the fluorescent light bulbs should be taken to a recycler before they break. 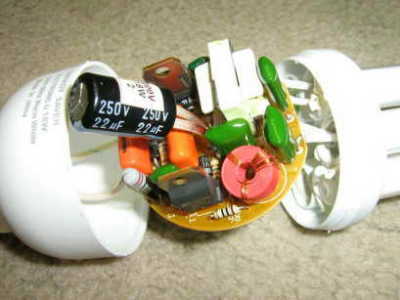 Recyclers can recover the mercury and other components for reuse. If you or your neighbors don’t have a toxic waste dump nearby, the bulbs will most likely go the way of the rest of the world’s garbage from Chile to Chicago. What’s the percentage of recycling done around the world right now? Or let’s say, America, even? Somewhere around 10%? Will we have time to educate the world and open all the newly needed (ungreen) toxic waste dumps in time? What about those already out here? The scary thing is that GE’s packages don’t have ANY disposal warning on them. Really! Take a look next time you’re at Target or the super market. And Walmart is selling hundreds of millions of them. Where are they going to go? Contaminating the world’s water supply because of these is too intense to contemplate. 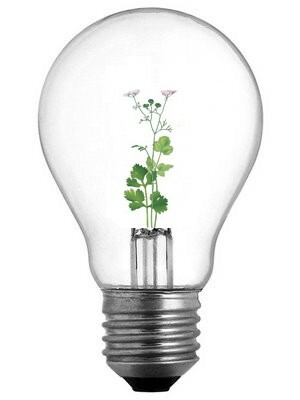 CFLs have been so thoroughly ingrained into our collective consciousness as something good if not great. How did they do that? Thanks for thinking about it. As consumers we have the power to decide where our money goes, and purchasing these supports GE’s attempt to capitalize on something every single room in the world needs. 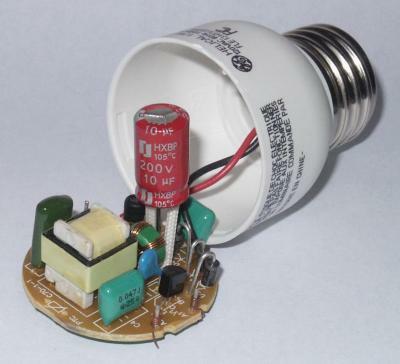 A simple light bulb. But instead of acting responsibly, GE has created a product not built to last but with the usual ‘planned obsolescence’, leaving a trail of disaster behind. Or ahead. It’s our call! 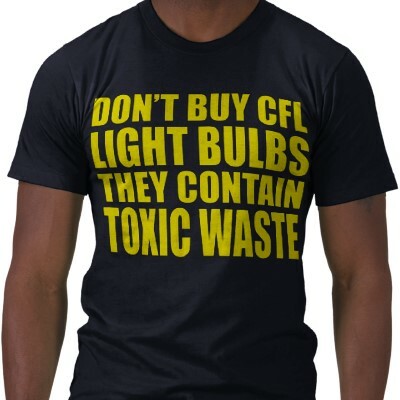 It’s not just because they’re hideous that I can’t stand the CFL bulbs. It’s because they’re a joke. But not funny. 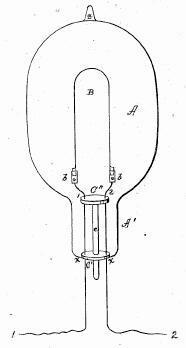 We have technology to create regular light bulbs that last a lifetime and have antique bulbs from the 1900’s still working to prove it. Over the years they’ve been modified to burn out quick via ‘planned obsolescence’. Why did GE receive billions in stimulus to just close factories here and move them all to China? We have to buy EVERY bulb from China now. What an enormous footprint. It’s been a while since I’ve been able to post about CFLs because the thought of them makes me ill. A couple months ago I didn’t know much (ok,was completely ignorant) about so many things from Mountain Top Removal, Carbon Sequestration, GE, World Bank, Superfund sites, White House Advisors, Jobs, Coal, CEOs the EPA and CFLs. Once Pandora’s box was opened, I glimpsed a world beyond scary. But some time’s passed and I’m less emotional and not letting the dark side ruin my days. I’ll be stocking up on regular light bulbs, let’s just say that. I didn’t want to go off on this CFL trip but everything I’ve found out about them pushed my buttons to the point that I was compelled to write this blog. Still, I have to pick my battles (as much as I’d like to take on GE), so here goes: Even if these were the most energy saving, life affirming, gorgeous replacements for the ordinary incandescent bulb, there’s no way to spin them into an ethical alternative once we know how they’re made and have to be disposed of. As far as production, the environmental tragedy ripple is staggering but to keep it simple, consider the additional Mercury mining needed to produce hundreds of millions of them, not to mention oil for the plastic packaging, or the fact that every single one is made overseas and our own award winning US light bulb factories were shut down to accommodate that shift. 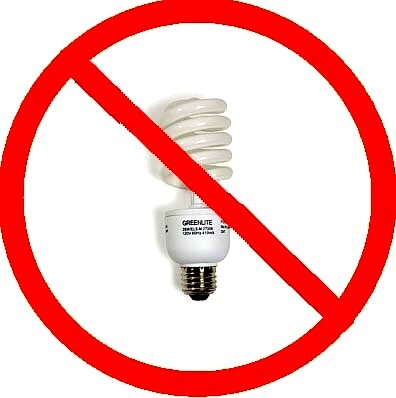 Only we, as consumers and citizens, will decide to boycott or comply with the mandate banning regular old bulbs. Below is the EPA’s recommendation for cleaning up broken CFLs and disposing of the hazardous waste pieces that were once your bulb. If double plastic bags, a trip to the toxic waste dump, and throwing away your contaminated bedding and carpets is green, I must be missing something. 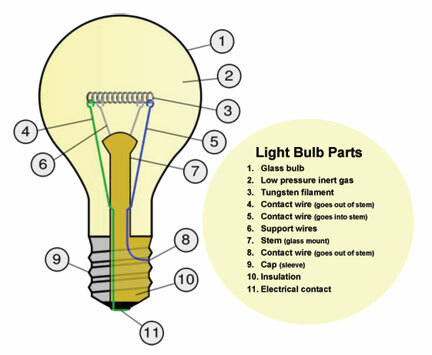 Yet on the packages, there’s NO warning or disposal instructions on any of GE’s bulbs, yet they’re in every country, on a mission to trash regular bulbs (creating more garbage) and replace them all with these by law very soon. Why are there are no warnings when the EPA says they cause water and ground contamination if disposed of impoperly? How are 3rd world countries going to be educated on this when we don’teven know about it? 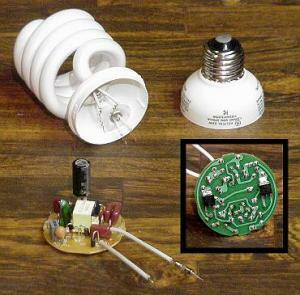 CFLs are considered household hazardous waste. By law, they must be either be recycled or taken to an approved hazardous waste disposal site. 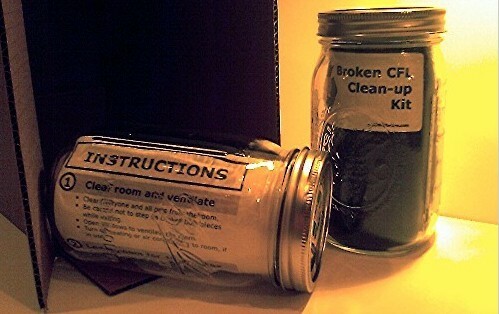 If a CFL breaks, the U.S. Environmental Protection Agency website recommends special steps to follow for cleanup. These steps include airing out the room, putting all debris and cleaning materials into a sealed jar or double plastic bag, and avoiding the use of brooms or vacuum cleaners that might stir mercury into the air. In addition, the Maine Department of Environmental Protection website recommends disposing of the carpet, rug or bedspread on which a CFL breaks. It also suggests that CFLs might not be appropriate in rooms used by infants, small children or pregnant women, who are more susceptible to mercury poisoning. Many hardware stores and local disposal sites accept CFLs for recycling, and some companies now sell pre-paid shipping boxes addressed to recycling plants. Unfortunately, not everyone has easy access to these options, so about three out of four CFLs end up in landfills, where the mercury gets leached into the soil and groundwater. We cannot pollute any more water with Mercury. 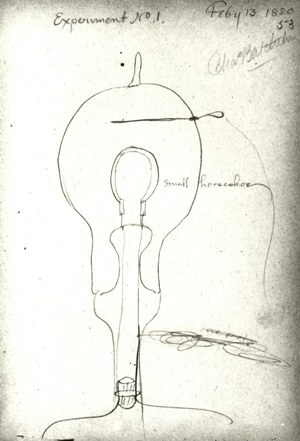 One last thing : Below is Thomas Edison’s simple bulb sketch, a brilliant, beautiful and simple invention that’s now become a villain thanks to the CFL lobbyists (GE lobbied for years to make this happen and GWB signed the ok just before he left office. Now GE CEO Jeff Immelt is our White House Energy advisor and is still pushing his agenda, which is all over the place. They were warm AND gave off light. And you could throw it away without fear of contaminating your community water supply when it broke. fluorescent bulbs on the other hand are extremely complicated and don’t offer anything but a cold, neon cast. 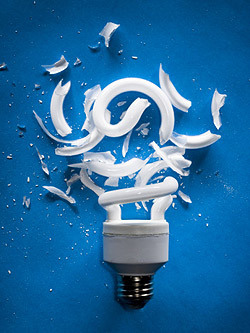 Each year, 600 million light bulbs are disposed of into landfills in the United States. This accounts for nearly 30,000 pounds of mercury waste. The U.S. Environmental Protection Agency lists light bulbs as the third most dangerous product used in homes. Below is a ‘Broken CFL Cleanup Kit’. Buying all these products in order to clean up the bulbs that were supposed to save us money is pure irony. But that the EPA endorses it for $19.95 is just plain insulting! Add that to the cost of the bulbs and how much have you saved exactly? and i thought we were banning plastic bags! This woman broke one and had to open the windows for 15 minutes during the dead of winter. She was a good sport about it, but many arguments against incandescents is that they give off light AND heat. Is there something twisted there besides the coils of these hideous beasts? My biggest question in all of this is: How did this get into our collective consciousness that this was a good thing, and what are we going to do about it? 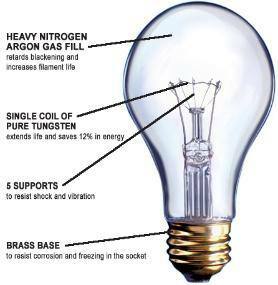 If you believe in the bulb, the regular bulb, please spread the word and don’t let it die for no good reason! Since I started researching the Compact Fluorescent Light Culb (CFL), so many issues have come up that it’s beyond mind boggling. Everything from their production to disposal is an issue that’s complicated and heated. 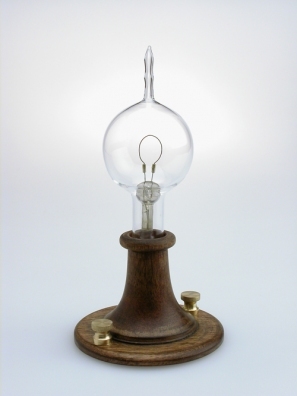 One of the most interesting debates is on the Mercury content that’s present in each bulb. Some people say it’s an insignificant amount and not a big deal. But it’s not the drop that’s in the bulb that’s so frightening (unless you’re standing over it and breathe in the vapors when it breaks), but the real question is how much more Mercury is now needed to produce the bulbs, creating a need for even more energy. The bulbs are proving to require so much energy in their production and disposal that they don’t come close to competing with a traditional incandescent. I started asking questions to come to this conclusion of course, getting more involved than I’d planned but ultimately opening my eyes to a world that’s potentially devastating to the fate of our waters and communities. 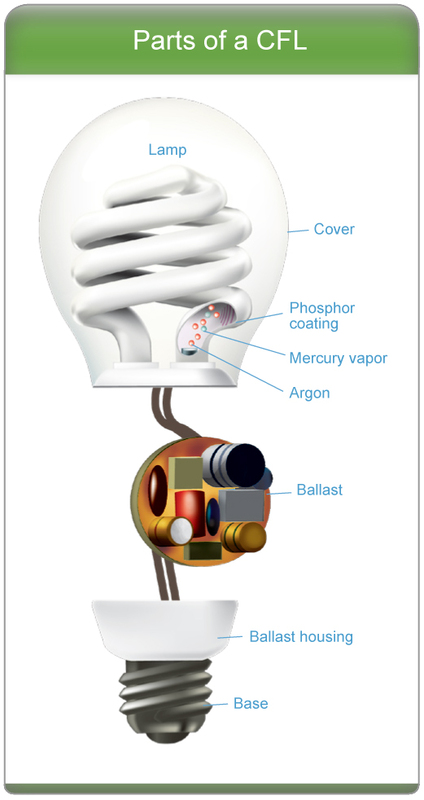 First of all, how is Mercury harvested, and why are CFLs considered by the EPA to be Toxic Waste if broken if the small amount of Mercury they contain is harmless? If you don’t air out the room for 15 minutes first (if you happen to know that) you, or kids or pets can suffer neurological damage from the vapors. We could all suffer when hundreds of millions start leaching Mercury into landfills and improper clean-up affects those who don’t know wash clothing with broken shards can contaminate clean water. The packaging is supposed to list all this but on this initial push to get the public on board they have not been publicizing it. Worldwide, production of Mercury has relaxed environmental laws. In the United States its affects are still visible resulting in contaminated areas, aka Super Fund Sites. GE is responsible for between 78-88 of them and has fought the EPA for years in court to avoid cleanup of Mercury and other toxic chemicals throughout the US. To think that just a couple days ago, I was so blissfully unaware. All I wanted was to keep my incandescent light bulbs and not become a criminal for using them. I’ve always had a thing for their delicate intricacy. They’ve served us really well over the years and I rarely seem to replace one. Because I didn’t want to be forced to use the new fluorescent bulbs, I wanted to see why GE is leading such a vehement revolution to vilify them and switch the world from regular bulbs to the Compact Fluorescent Bulbs. What I found about the CFL promotion is as fascinating as it is frightening. I’m normally not into politics or even mysteries but his one is coming at me at the speed of light so I’m compelled to post my findings and hear what you think. The new fluorescent bulbs are a dangerous product in numerous ways: They’re expensive to produce and need even more coal-fueled methods to manufacture and package than regular bulbs, they contain Mercury, and we have to dispose of them as if they’re Hazardous Waste. But that’s just the beginning. 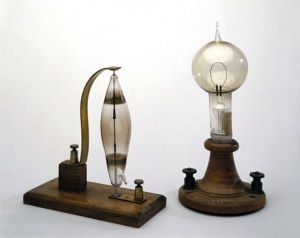 I’m a little embarrassed to say that a few days ago I didn’t know a thing about coal or mining or mountaintops or ‘clean coal’ or carbon capture and storage (CCS), aka, carbon sequestration, or how any of this was related to the light bulb I love so dearly. What I found is that the coal that runs power plants is the largest source of pollution on the planet and generates 50% of electricity in the United States. As of now, NONE of the US coal facilities produce ‘clean coal’. Most experts (like from MIT and YALE) call the catchy phrase an oxymoron, like saying, ‘Healthy Cigarettes‘. It turns out that coal can never be clean because it means instead of sending CO2 out into the atmosphere, we bury it in the earth where it leaches toxins causing groundwater contamination. Some say to put it into the oceans instead but of course that’s still under debate. and even UNESCO sees it as an option that has more dangerous unanswered questions than answers, and Time Magazine agrees. (Carbon sequestration). My question is, How did the Clean Coal movement get into our collective consciousness as a real and good thing? Never mind that the new CFL bulbs are exponentially higher to produce than regular bulbs and take a lot more coal to manufacture. Or that the EPA wants us to treat them as Hazardous Waste when disposing of them. What’s worse is that China and India are about to open 88 new coal plants. It seems like an uphill battle to fight these Monster Offenders when trying SO hard to go SO green with the new fluorescent light bulb program. Who’s constructing the new factories in China and India? 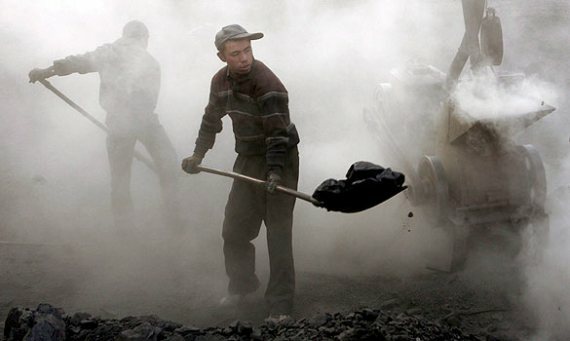 It’s the world’s largest coal proponent and polluter on earth, The World Bank. Just for kicks I Googled World Bank and GE. Guess what? So this is what i mean, it’s a story I could never have concocted. Almost like a movie or a conspiracy theory. Or reality. GE isn’t far behind World Bank as one of the largest polluters on earth, in fact they’re ranked #5 of the top Corporate Air polluters and have a long legacy of leaving an ugly chemical trail they’ve yet to clean up. GE is the largest contributor to Superfund sites. (According to the EPA, Superfund sites are an uncontrolled or abandoned place where hazardous waste is located, possibly affecting local ecosystems or people). Business insider lists GE as one of the biggiest ‘Green Phonies of 2009′ touting General Electric as THE most toxic company when considering the amount of population exposed to its pollution and its toxicity level from its plants worldwide. The really messed up part is that GE and World Bank position themselves as having green initiatives when renewable engery accounts for only tiny fraction of their portfolios. US based NGO Bank Information Center (BIC) recently published World Bank energy sector lending: encouraging the world’s addiction to fossil fuels , a study on the World Bank’s approach to energy sector investments. The assessment finds that important gains in renewable energy and energy efficiency in recent years still do not compensate for the highly imbalanced financing in favour of fossil fuel development. The BIC study shows that World Bank fossil fuel lending is on the rise, especially for coal. During its 2008 fiscal year, the World Bank and International Finance Corporation (IFC) increased funding for fossil fuels by 102 per cent compared with only 11 per cent for new renewable energy (solar, wind, biomass, geothermal and small hydropower). Today coal is generating more than half the US electricity. 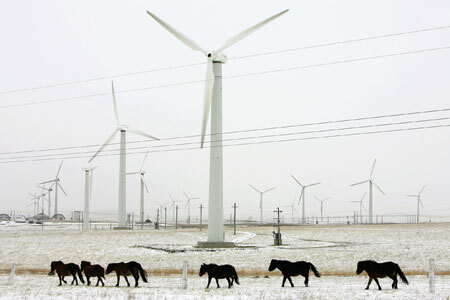 Wind power accounts for less than 1%. Here’s where GE could excel as a leader but instead of producing the turbines they have the technology and power to make, instead they say they’re on backorder even though they have billions of dollars of orders for them from all over the world. Now, the wind doesn’t blow when the energy demand is high, ie summertime), so there’s skepticism from critics who believe in coal. But we’ll leave that for another day. I admit to being a bit of a tree hugger. We’re all trying to do our part to make the world greener and are at point where we’ll do anything if we think it will help. But what happens when a product comes along that we’re told will do the trick, but actually does more harm than good? In a veiled attempt to conserve energy, some dangerous plans have been set into motion that could cause damage to our air and water supplies in a very short time. One of the last things George Bush did before he left office was to institute the change from incandescent light bulbs to fluorescents (also known as CFLs), a mandatory, forced switch out, by 2010. The world’s biggest producer of the new bulbs and advocate for the change is General Electric, one of the largest polluters on the Political Economy Research Institute’s Toxic 100 index. The index is based on EPA Toxics Release Inventory data which ranks the nation’s largest companies based on the quantity of their emissions, relative toxicity of chemicals emitted. Have you ever broken a lightbulb? Of course, we all have. Millions of us. 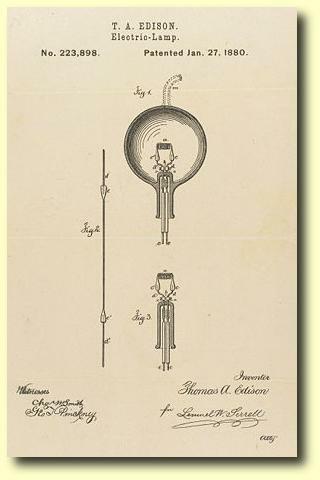 It was not a big deal with the the innocuous incandescent light bulb. There were no vapors, no dangers, no chance of real harm. Now we’re being told to replace all our light bulbs (throw them in a landfill)! 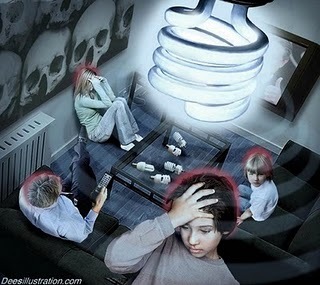 with fluorescent spiral bulbs which are harmful in many different ways we’re only beginning to understand. That said, I’m all for saving energy and look at ways to conserve all the time. But when I started researching these bulbs, I found that they’re not really green at all, in fact, just the opposite. This is is a case where the bulbs are being touted as safe, yet they’re being produced in a way that’s environmentally unsafe or for the workers who manufacture them and at the same time are extremely inefficient to produce and deliver. Turns out it takes much more energy to create the new compact fluorescents in every way. The mercury required to make them in the first place and that spills when they break, can be threatening to our health. I read the packages and saw nothing about the dangers on GE’s boxes. No warning, no cautions and no disposal methods. This sign is supposed to be posted where the bulbs are sold. Mercury vapor has been linked to neurological problems, kidney failure, tremors, insomnia, headaches and neuromuscular changes. These vapors are especially harmful to brains of fetuses and children and severe damage to the central nervous system and liver are possible if it’s absorbed through the skin or inhaled. 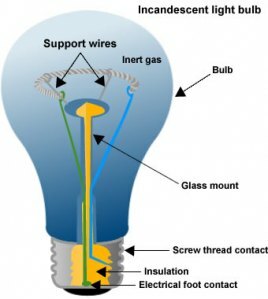 If the owner of a broken bulb doesn’t know there are precautions to take in the clean up, they could cause an epidemic and contaminate their family and community. If someone happens to wash bedding or clothing it breaks on, (instead of throwing all of it away, again, not too green), it will send contaminates directly into the community water system. 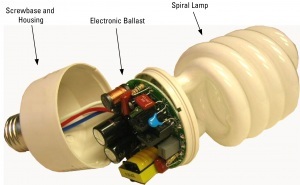 What’s going to happen when these bulbs break in hundreds (or millions) of homes? Walmart’s already sold over 100 million of them. The cleanup advice itself is not green at all, as it involves everything from plastic bags to duct tape, not to mention having to throw away anything it shattered on, the dustpan and brush, gloves and mask as well, all creating more garbage and waste. You can’t clean it up with a broom as it will spread the mercury through the house, endangering children and pets. In some states you can put the broken bulb in your outdoor trash and leave someone else to deal with it at the landfill. Or you can dispose of them at your local toxic waste dump, ( if you’re lucky enough to have one of those in your area)! If it’s put with the recycling, mercury can contaminate those who sort it. Those that end up in landfills will, naturally, they’ll be crushed and release mercury into the soil. Ikea and Home Depot will take them for you if happen to have one nearby and want to make the effort. But we only recycle 1% of what’s renewable now, so what are the chances, especially in underdeveloped nations where changes are forced on citizens? Just how green is any of this? It’s not. At all. GE and Phillips other big producers would like to see everyone smash their old light bulbs and proclaim freedom while they hold up the twisty alternative as a green gift from heaven. Meanwhile they misinform and enlighten us with their green website initiative which glosses over the dangers. None of this is helping the environment and is creating more toxic waste, using more energy and putting the world’s water in danger. To add insult to injury, they’re not even made in the US! Worst of all, the entire crusade is being spearheaded by GE who closed factories in Virgina and Ohio among others, and moved production to China where workers are being compromised. In factories where CFLs are made, mercury spillage is common during the manufacturing process, and workers are often exposed to deadly chemicals. Massive clean-up bills are accumulating to decontaminate factories and surrounding areas where CFLs were made. With spillages happening regularly, the long term health of the workers are of course, at risk. The inefficiency of these bulbs is probably the biggest farce. One of the selling points is that they don’t give off heat, yet, in the winter, we’re advised to change back to regular bulbs to save on heating bills as incandescents add warmth to a room and help regulate thermostats. CFLS don’t work in extreme cold, can’t be dimmed, (so they have to run at full power at all times) and will fail prematurely if switched on and off many times a day. Therefore people tend to leave them on all day. Regular lights would otherwise be switched off, so now a household might have 4 or 5 of these CFLs running for hours at a time, where they may have had only 1 or 2 incandescent lamps switched on (and possibly on dimmers), therefore reducing power significantly. 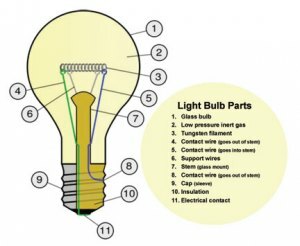 Venezuela, Australia, Canada, and Cuba are trying to make this the legal standard and phasing out the regular light bulb. Phase-outs are also pending in California, New Jersey and other states as well as the European Union. Michigan Sen. John Gleason introduced legislation on June 12 that would, if enacted, criminalize the sale of incandescent bulbs in the state beginning in 2012 ! So before we go quietly into the night and get on the bandwagon, can you please take a look at the real consequences of bringing something so dangerous into our homes that would be government mandated? And think about whether we’re going to let the world tell us that what they’re proposing is better than what we have without knowing the truth. The concern is not for the environment. GE has 119 US contaminated areas they haven’t cleaned up yet and are starting to leave their trail in China and Taiwan now. I’m all for a free market but I don’t want my fate hanging in the balance when a neighbor tosses out a deadly CFL grenade. I personally don’t want to live in a fluorescent world which is why I started to research the topic. What I’ve been discovering is unnerving and painful to think about. But we have to make our own decisions, not let the government tell us how to live. While we’re working toward a more sustainable future for the environment, we have to consider the cost to humans and the planet, not only of the bulb we pull from the shelf. We have to consider the raw materials it will now take to produce them. The components and the labor and the shipping and the electricity and the outsourcing and the packaging it costs to make them are exponentially higher. Consumers have to consider this carefully. It’s easy to believe that the governments of the world have assessed and researched and determined what “greener” purchases we should make. But the truth is they were lobbied heavier than at any time in history for this switchover and the homework just wasn’t done. Until governments world-wide can ensure that proper safeguards and decent safe working conditions are a requirement for “environmentally friendly” products, these products should simply be banned from sale. Please join me in boycotting these bulbs until we have more information about the damage they’re doing. The links on the blogroll have my sources and other extensive data research. Please check them out. Time is off the essence as they’re trying to make this happen by spring of next year while they think we’re not looking.